Located at R-City Mall food court, Vedge Xprs offers pure vegetarian multi-cuisine delicacies. It was a pleasure trying out some of their offerings yesterday (we actually ended up trying enough to put a dozen elephants into a food coma :P) We had loved being to Vedge last year and this time was no different either. Clean layout of the kiosk, lots of green to emphasize vegetarianism, I have to make a disclaimer here that please take out the misconception of 'vegetarian food is not tasty' right now. Their menu has got something for everyone and barring a few missteps, everything is really delicious. 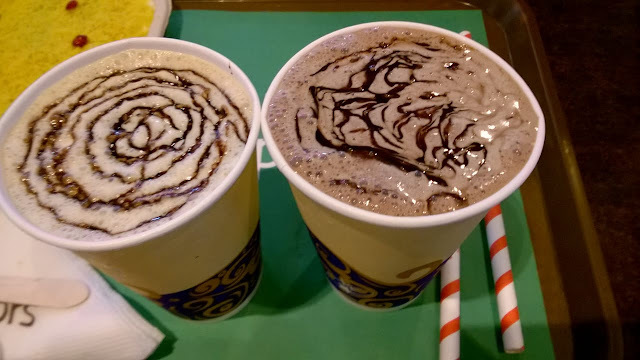 Priced in line with mall food courts' pricing policy, not cheap, not expensive. Quantity of each main course dish is enough for 1 hungry person, that's good. Special word for staff, they are extremely polite, helpful and service is fast. VEG KOLHAPURI- TANDOORI ROTI Combo- My dad's FAVORITE. 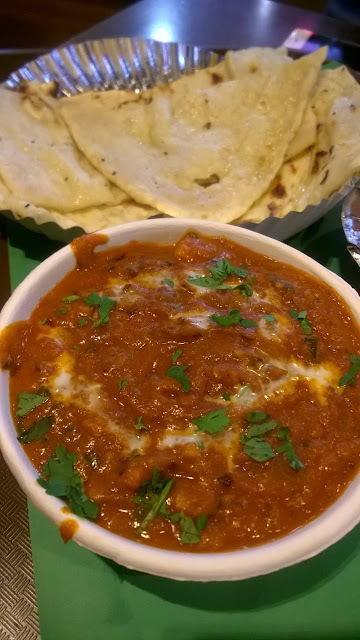 He loves Veg kolhapuri and this was pretty close to authentic, quite spicy, generous portion of vegetables and spicy-tangy gravy and delicious soft tandoori roti. PANEER TIKKA MASALA- BUTTER NAAN Combo- This was a bit of disappointment. While Butter Naan was amazing, the gravy was actually quite similar to Veg Kolhapuri! Just there was addition of 2 big soft paneer blocks. It was still tasty enough on its own but should taste distinct from other gravy. 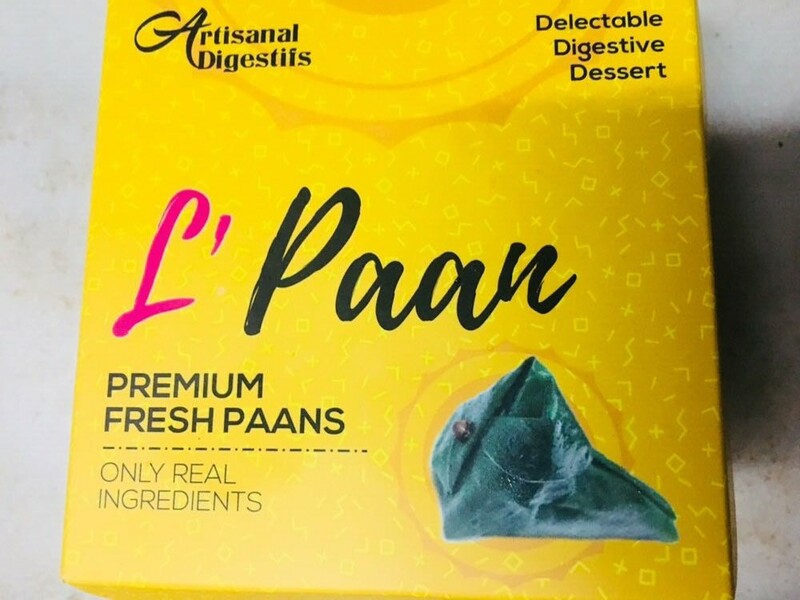 So when I got a chance to review some paans from L'Paan, I said yes just to know what my mom talks about. 3 types of Paan arrived really promptly packed securely and very hygienically in a peppy yellow little cute box. 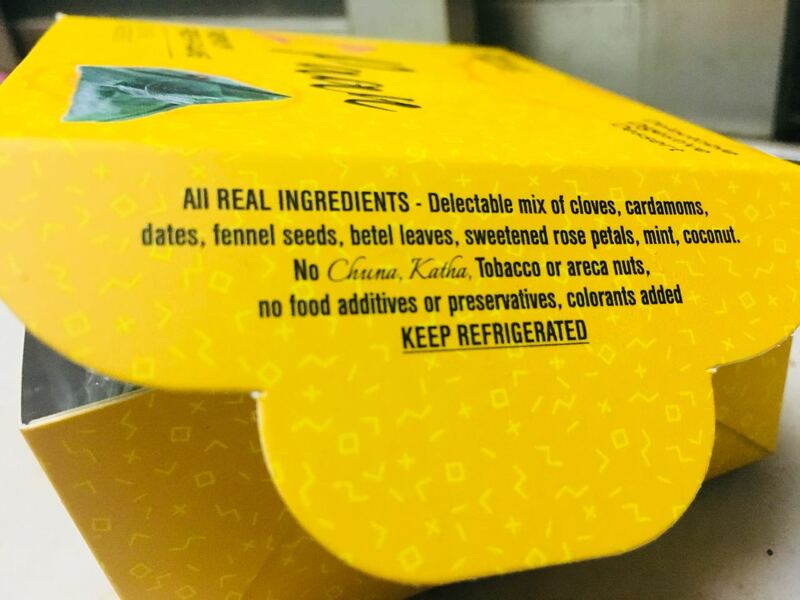 Promise of natural fresh ingredients in making these classic Indian digestive desserts was mentioned alongside other details on the box. No choona, No soopari, No kattha, No preservatives or artificial color in these paans, rather they have top-notch delicious spice mix that can be enjoyed by everyone. CLASSIC/ORIGINAL THE PAAN - Mix of rose petals, cardamoms, cloves, dates, spices mix, this was VERY REFRESHING and it had generous amount of mint in there too, I felt it was very cooling on my palate, very strong punch of flavors. 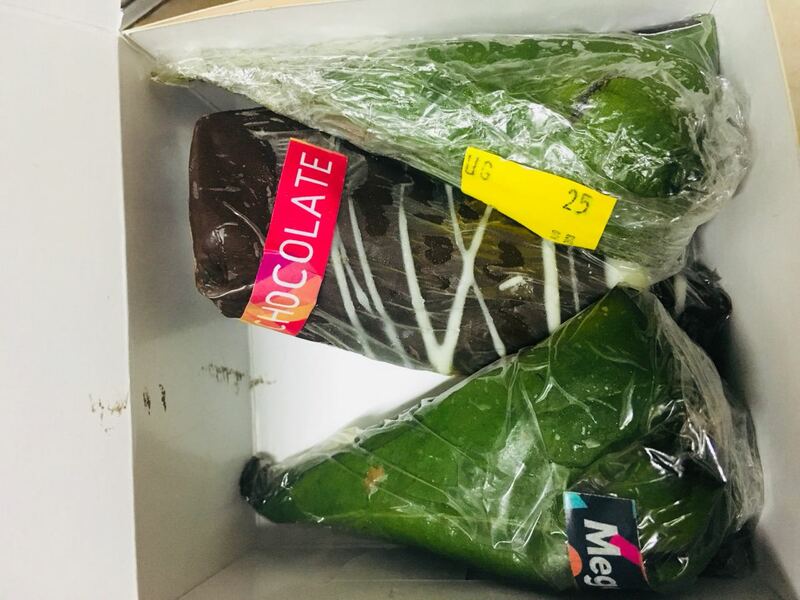 CHOCOLATE PAAN - Traditional paan with chocolate truffle covering, the chocolate crust made all the difference in making this a MUST-HAVE. 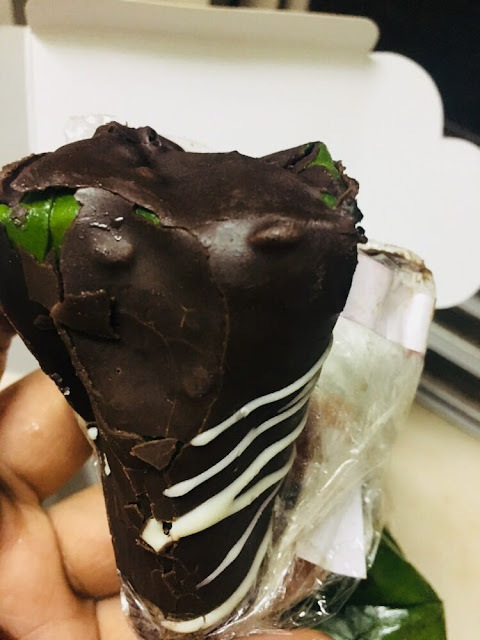 Maybe they can increase some chocolate quantity inside the paan to make it absolute heaven for chocolate lovers :D But otherwise too, pretty good and my sister's favorite. As I said, I am not a big paan lover. It always conjures up soopari-choona version and I have stayed away from those. So I don't really have any pre-conceptions of how a good Paan should be or how should one judge a good paan's quality. 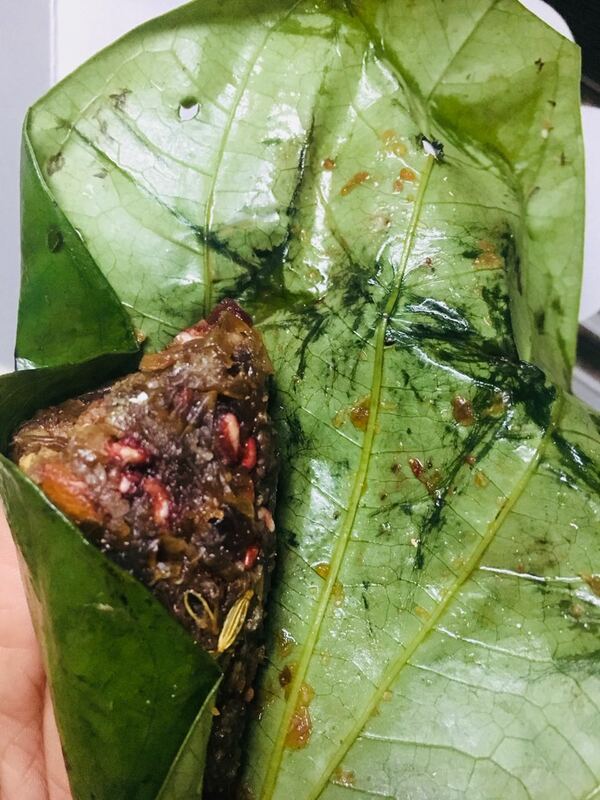 But here, I enjoyed the offerings of L'Paan and so did my mom and sister, so I really do not have anything to complain about. 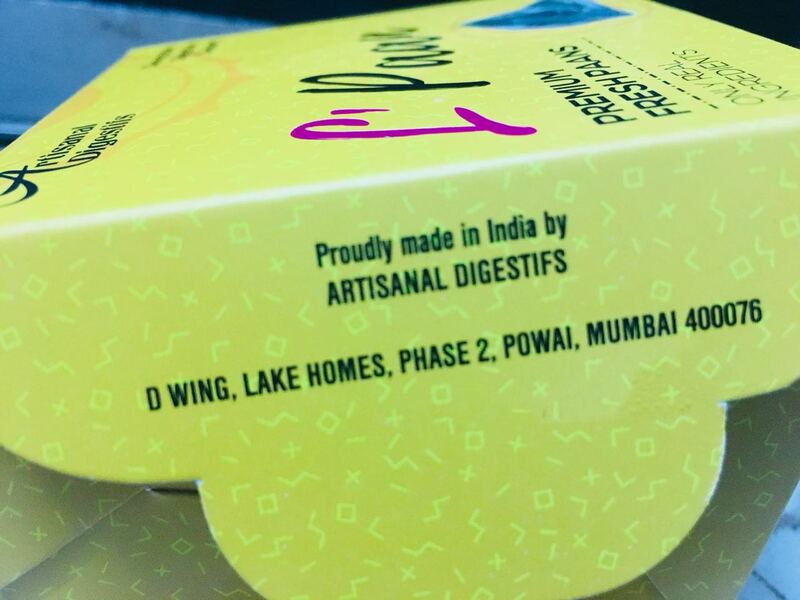 Do try these as a modern twist on traditional Indian Paan :) Recommended! I had landed at Qtrove by chance, because I was craving some homemade chocolate fudge and internet search threw up this amazing website with loads of products across categories of food, beauty, home decor and more, with the main differentiating factor being that these are natural, chemical-free, sustainable handmade products made not in factories but by artisans in batches! Phew, once you land at this website, it is impossible to leave without buying something. Ingredients list reads a who's who of exotic ingredients that are all good for our skin :) NO toxins, NO preservatives, NO chemicals, NO parabens at all. Yay! Claims that it will detoxify and rejuvenate skin by drawing toxins out of the skin, reducing inflammation and reducing appearance of pores, acne, blackheads. Also, regular usage might lead to lifted firm appearance alongside helping in reducing wrinkles, age spots, scarring. Availability is limited only to online websites like Qtrove that sell such special handmade artisanal products (and Karmik Veda's own website). Pricing is Rs. 599 for 75 grams. 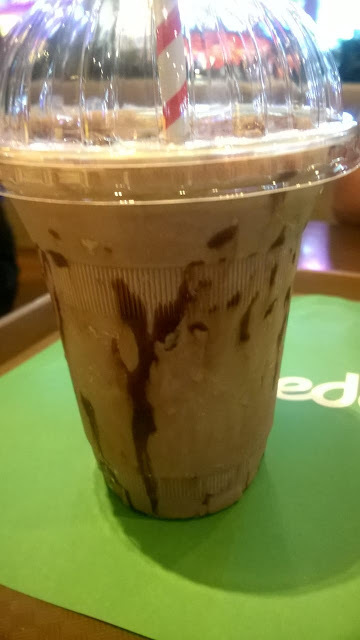 Quantity is very good, I have been using it twice a week for last 1 month and it is just half empty. Will last 2 months easily because it is concentrated so a little is needed to cover whole face and neck. Usage - The picture makes it look lighter here. It is actually baby pink in color (looks like pink Himalayan salt). It is suggested to mix it with honey, rose water, curd or any herbal tea and make a creamy paste. I cleanse my face and then make this creamy paste by using curd because curd suits my sensitive problematic skin the most. Karmik Veda French Rose Clay Face Mask smells different from usual packs. It is not unpleasant but unique. 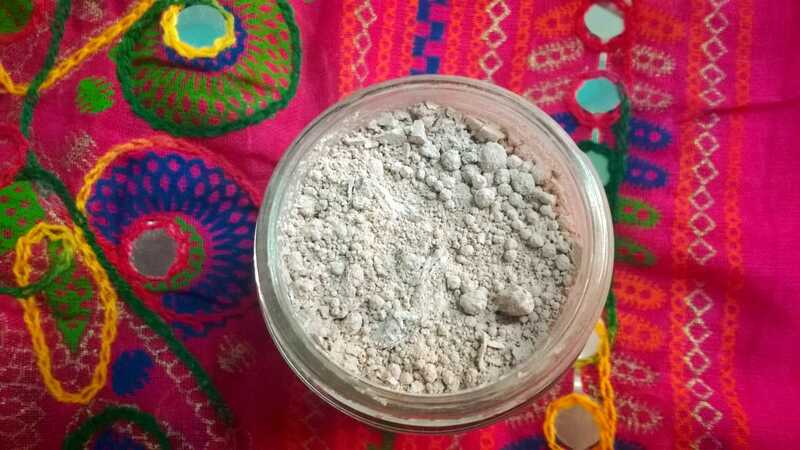 I can only explain it as some kind of 'metallic' smell, I think the French Clay is what I am describing, it just smells absolutely different from anything else I have used on my face. Anyway, the powder makes a real creamy paste. I put it all over my face and skin and let it dry for 10 minutes and then rinse it off. Effect - I like it! 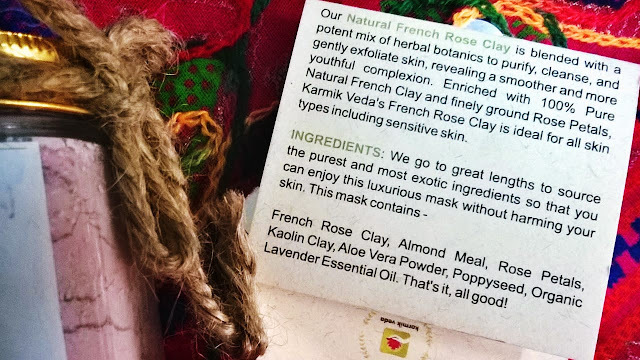 The claims of Karmik Veda French Rose Clay Face Mask are not some overnight miracles. But they do promise detoxing, rejuvenating, light exfoliation, reducing blackheads, pores and in my experience, they do all this :) My skin does feel smooth every time after rinsing it off, my face does feel firmer, most importantly I have seen it shrink my little acne breakouts immediately. It is too early to say if it works on reducing wrinkles or pigmentation but I am just happy that my face feels softer, smoother and even little angry pimples have calmed down ever since I started using it. There has been no adverse reaction on my face on using it. My skin is ultra-sensitive and with first use I know which product is pure natural and which has chemicals. 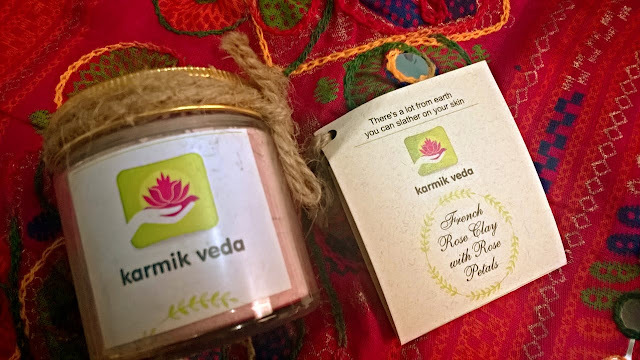 Karmik Veda French Rose Clay Face Mask is truly natural and chemical-free because every time I have used it, it just gives a luxurious spa-like feel, it slides like velvet on my skin and after rinsing it off I always like touching my smooth, glowing cheeks. It doesn't leave my skin dry but dry-skinned beauties may find it drying (it is clay after all!) and should use a heavy duty moisturizer. Recommended -YES! 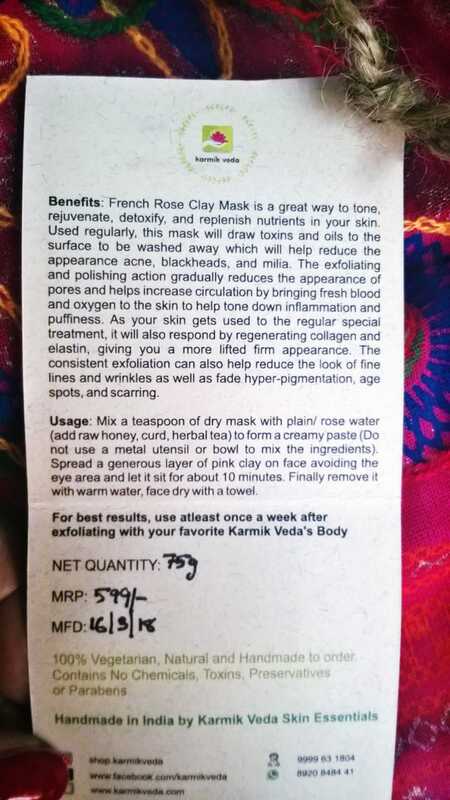 Karmik Veda French Rose Clay Face Mask With Rose Petals is worthy to be included in regular skincare :) Rating is 4/5. Hands down, one of TOP 5 dining destinations in Mumbai for my family. 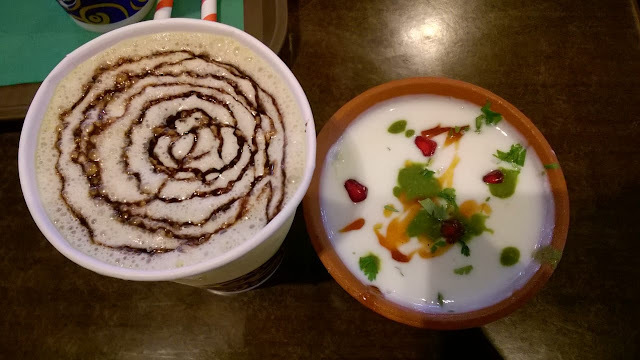 Centrally located, we walked in for a review session to find serenely elegant ambiance with soft music playing in the background alongside 2 LCD screens playing cricket matches. Quite spacious, it offers buffet for lunch and dinner at extremely economical rates alongside an extensive a-la-carte menu with something for everyone. The best part, all of this is supplemented with extraordinary level of service. Every staff member, including the Chef himself, gives personal attention to every customer to make their visit memorable. This means they will prepare anything off the menu for the customer too if needed. We saw a lot of regulars walk in and share friendly jokes with Chef. Easy to see why one would want to come back here again & again. Outstanding service. We tried a lot of their specials from the menu and buffet and were pleased by everything. >>> LONG BEACH ICED TEA- Vodka, Tequila, Rum, Gin, Cointreau, Sweet & Sour Mix, Cranberry Juice= strong, delicious, just like my sister likes. >>> FRUIT FAVOURITE PUNCH- Orange juice, Pineapple juice, Lemon juice = Tangy, refreshing, just like I love it. >>> SHAHI SEEKH KEBAB- Wholesome medley of chopped veggies, paneer in soft vegetarian kebab version, perfectly balanced spices, loved. >>> PANEER RANGEELA TIKKA- (Name could be a bit different,this is what I think the name is!) 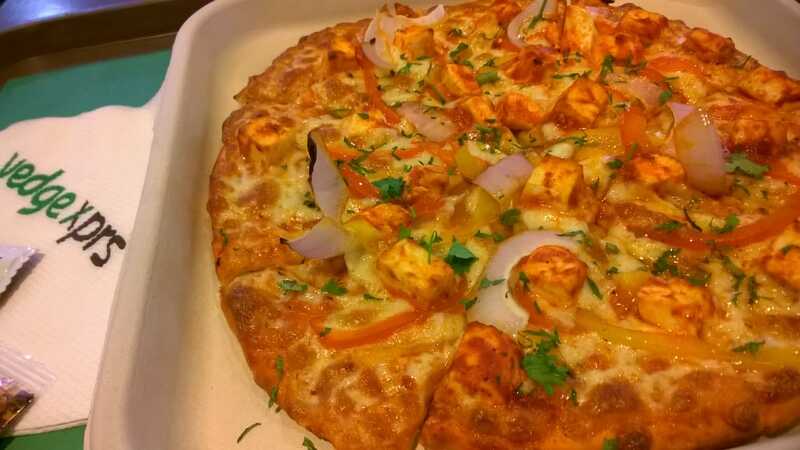 Paneer Tikka taken a notch higher with stuffing of chopped veggies and big dollop of cheese. Unique and delicious. Soft, will reorder for sure. >>> LASOONI PALAK- Real Spinach gravy (not the smooth spinach puree we get everywhere! ), this was a heart stealer. MUST-HAVE. Garlic bits all over real, dense, wholesome, healthy spinach gravy. A little bit on bitter side because that is what REAL spinach tastes like. Such home-cooked goodness this one. Enough portion for 3 people. >>> DAL MAKHANI - Black lentil cooked overnight on tandoor with butter, this one was another WINNER. MUST-MUST-HAVE. 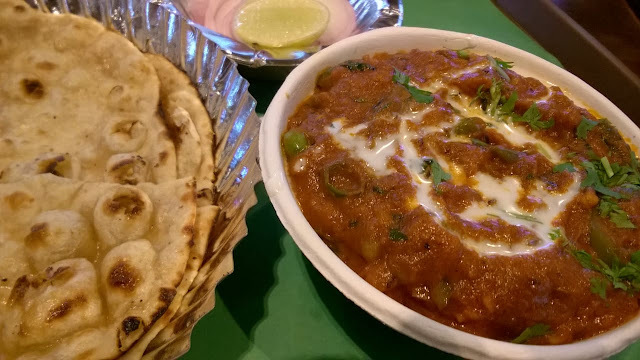 One of the BEST Dal Makhani in Mumbai. 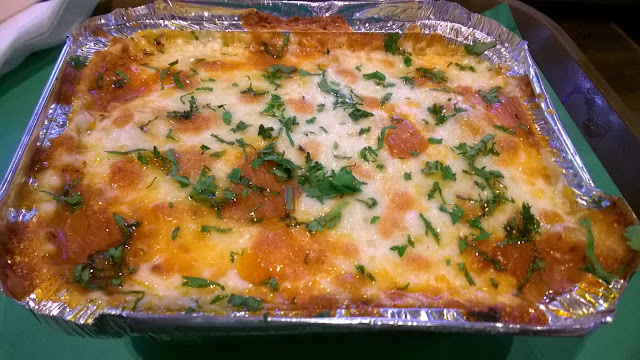 Really buttery, really smooth, that long-cook flavor shining through, a bit on sweeter side because that is how it is supposed to be :) Such a beautiful contrast with the Palak dish. Went beautifully together. 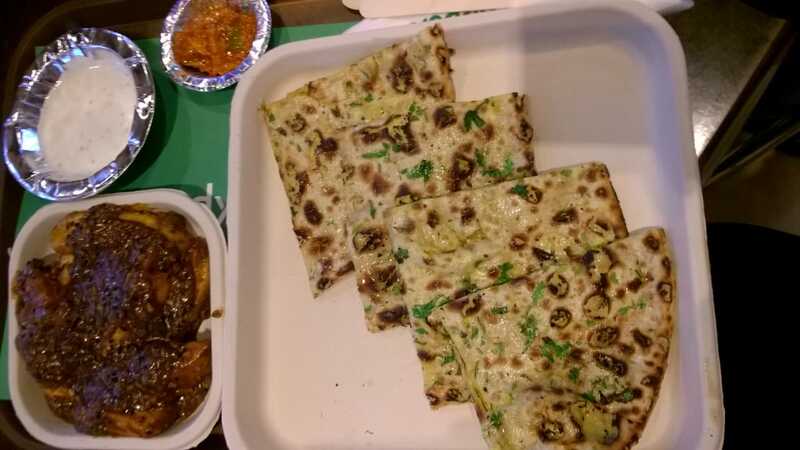 >>> We tried an assortment of TANDOORI ROTI, GARLIC NAAN, WHOLE WHEAT Garlic Naan and everything was perfect. 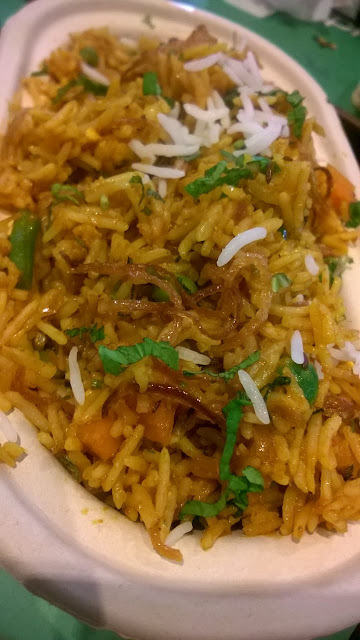 Alongside, we tried NOODLES, VEG PULAO, PANEER gravy from the buffet and it was all delicious too. Couldn't find even a single fault anywhere. We could not finish the main course and asked them to be packed for our dad's dinner. Chef ensured that he packed fresh,hot rotis for dad as well as a portion of extra kebabs and dessert alongside the gravies (something he did not need to do at all). Needless to say, dad loved everything and also agrees that this is one of the best dinners he had. >>> MISSISSIPPI MUD CAKE - Eggless Walnut Brownie with Vanilla Ice Cream, amazing. >>> ICE CREAM- Butterscotch & Strawberry with Chocolate Chips, creamy, yummy. Out-of-this-world Service by Superb Staff? Check. Overall, Excellent Experience in Every Regard? Check. Parabola should be a must-visit destination for every foodie. Bon Appetit! 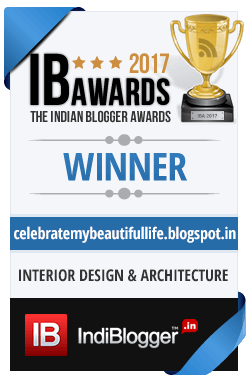 Ambiance of Thangabali is simple, colorful, clean and pleasing. Staff is extremely friendly and courteous. Special appreciation for their disarming smiles, polite behavior and fast service. Prices are reasonable for quality and quantity. Usually on hearing 'South Indian food', we just think Idli-Dosa-Uttapam because that is what we get everywhere. 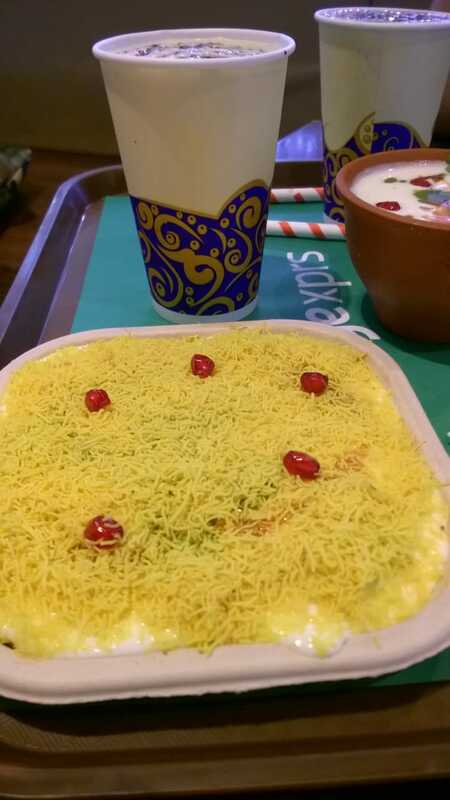 Here there are many additions and emphasis is given on dishes from Andhra Pradesh, Mangalore, coastal Kerala. Menu is vast and has more non-vegetarian dishes but vegetarians have fair representation too. GREEN APPLE ICED TEA - Sister loved it, flavorful, refreshing, perfect for hot summer afternoon. MIX VEG CHETTINAD & MALABARI PARATHA - We tried Malabari Paratha which is basically a distinct cousin of our cherished Lachha Paratha of North Indian cuisine :D it is flaky, layered, crisp yet soft and has a distinct mild sweetness. Went extremely well with Mix Veg Chettinad curry which is mildly spicy. TAMARIND RICE - Delicious. Not very heavy on stomach. Again, mix veg chettinad curry went well with this. My sister vouches this is close to authentic as she has had different kinds of rice (including tamarind) at her best friend's house who is Tamil. Apart from this, we also loved the various chutneys they served on our table, had that fresh home-made taste.